The crowd at La Papoñita on Sunday filled our corner of the place, and intensive discussions abounded. So come by this Sunday, August 11th, and add your 2 cents worth. 1. Punta Carretas Shopping is featuring La Feria Americana (#feriamericana) from today, Thursday, to Sunday from 16 to 22 (4 pm to 10 pm). With a bank ITAU VISA card, you get an additional 10% discount. 2. During the month of August, De Picos Pardos on Pablo de Maria at the corner of Rodó is featuring Cocinado con Amigos. The dates of the different chefs are known, exactly what they are going to serve up is not, but it should be fun. 3. Those of you caught short on Supergas may want to know why the delivery men were on strike. It turns out that one of their number was murdered while making a delivery, so they all went on strike for a day (August 5th), but resumed deliveries the next day at 8 am. Can you tell me if expats can buy air/ other tickets in Argentina with Argentine pesos or are we forced to use dollars or credit cards at official rate? Can we go to Aerolinas Argentinas ticket offices or some select agencies? on August 11 is at 14:00 (2 pm) tomorrow, August 9th, so that tickets can still be arranged. August 18 Sodre, Adela Reta Ballet Tchaikovsky Swan Lake – Sold out! Miércoles 28 de agosto, 20 h Teatro del Colegio La Mennais (José Acqistapace 1701 esq. Av. José Fructuoso Rivera) La Banda Sinfónica de Montevideo Popular Uruguayo oldies Free! Viernes 30 de agosto, 20 h Facultad de Arquitectura (Bulevar Artigas 1031) La Banda Sinfónica de Montevideo Popular Uruguayo oldies Free! September 8 Sodre, Adela Reta Joshua Bell (already have tickets!!! J) ??? ??? Bach Orgelfantasie über "Wo Gott del Herr nicht bei uns hält"
Coral "Aus der Tiefe rufe ich"
Coral "Herr JesuChrist dich zu uns wend"
Coral "Ach, was ist doch unser Leben"
Donizetti y Puccini, entre otros. Join in and write your own page! It's easy to do. How? 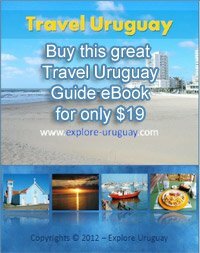 Simply click here to return to Uruguay Expat. Copyright © 2007 - 2018 by Explore-Uruguay.com All rights reserved worldwide.